October 18, 2017 - Like us now! Oppo’s most anticipated smartphone Oppo F5 is going to launch on October 26. The company has already given confirmation of the announcement date. 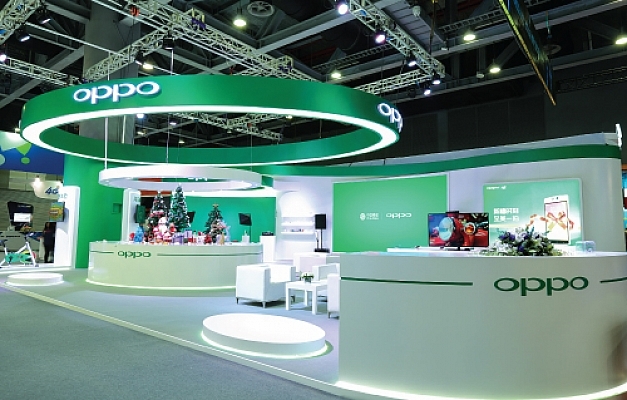 Oppo F5 will be the company’s first phone with 18:9 FHD and will have a display of 2160 x 1080 pixels. 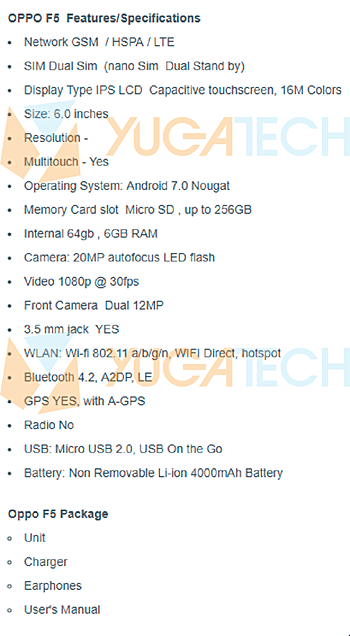 It is also confirmed that the device will offer a 6-inch screen, 6GB of RAM and 64GB of internal storage. Oppo F5 will feature Snapdragon 660 SoC. The phone packs a 4,000 mAh battery. 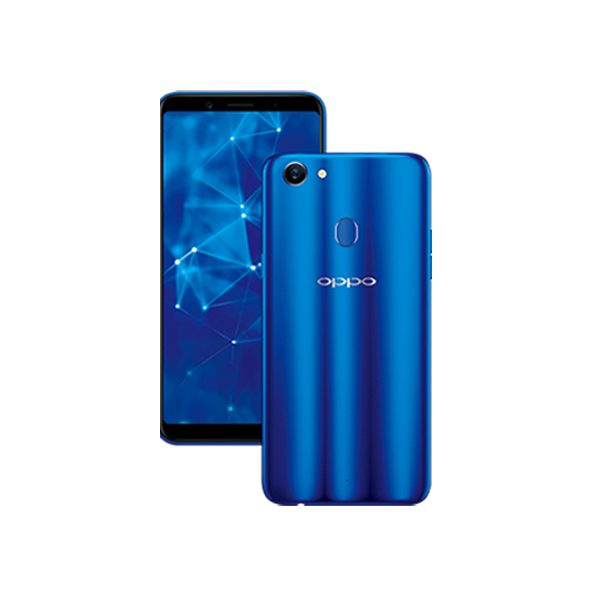 The predecessor of Oppo F5, F3 which was the first smartphone to offer dual selfie camera and got highest sales in various regions around the world. Earlier the phone was said to feature a 20MP rear camera and a 16MP dual camera setup on the front, but now, a new leak has surfaced, from a Philippine online retailer – the debut country of the handset. The leak suggests that most of the already-rumored specs, it differs in the front camera details, saying the phone will feature a 12MP dual camera setup instead. According to the information provided by the online retailer, the smartphone will not be having an Oreo update soon enough and will come with Android Nougat 7.0. The phone also has a space for a 3.5 mm headphone jack. 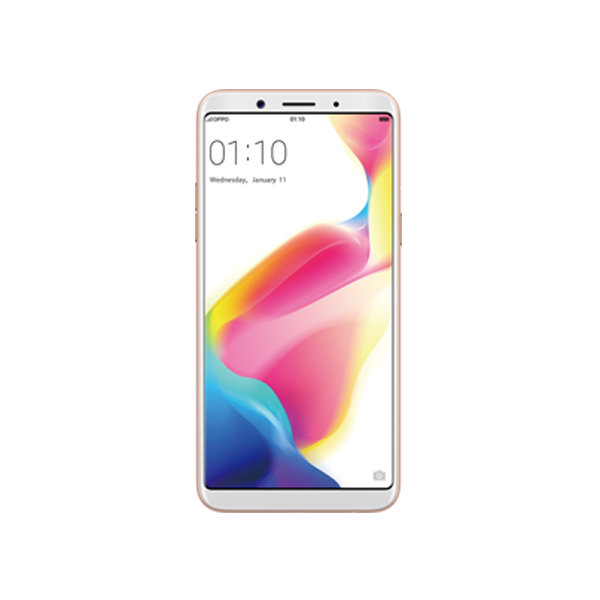 Continuing to focus on its F-series line of selfie-oriented smartphones, Oppo is launching the Oppo F5 in the Philippines first. The company has sent out media invites for the event teasing the full-screen display. In the meantime, a leaked image has revealed that the Oppo F5 will also feature dual front cameras. We were unable to verify this information of the new source, so don’t take it as a certain deal. As the Oppo F5 is coming next week, so we’ll know soon enough.